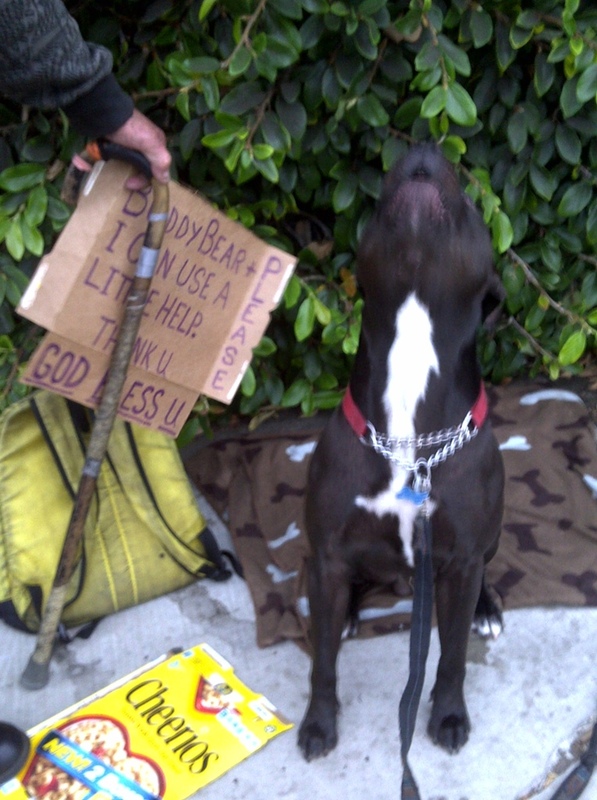 Buddy Bear and his owner were living out of their car in Oxnard,CA set up in a parking lot asking for donations. I had seen him during my rounds providing supplies to the homeless in my area and saw Buddy Bear was in need of some food and other items. The best part about this visit was when I asked the owner if he also needed a water bowl he said.."I'm good save it for the next guy who may need it". Humility.